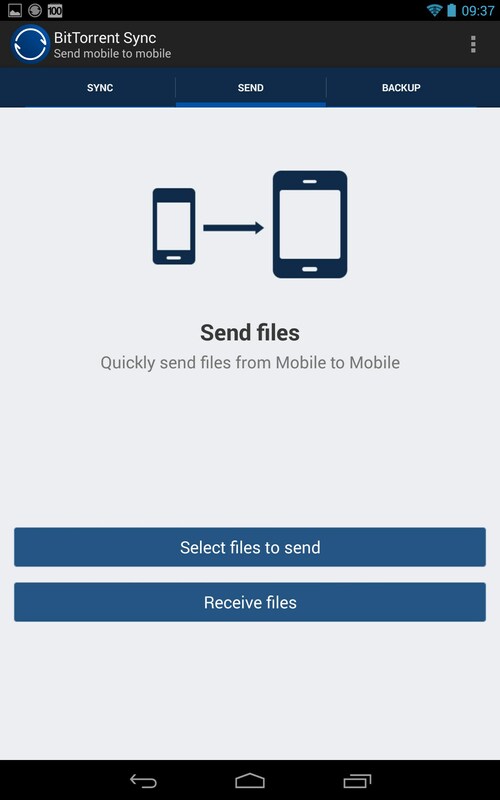 BitTorrent Sync – Soft for Android 2018 – Free download. 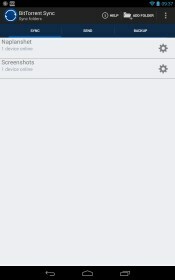 BitTorrent Sync – Instant device synchronization. 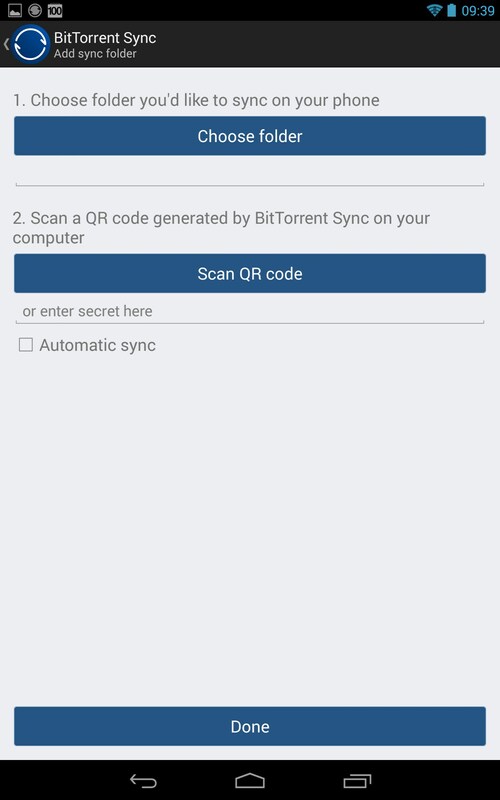 BitTorrent Sync - is a powerful tool for Android, which allows you to synchronize between different devices, smart phones, tablets and computers. And the timing is not a cloud, but directly between devices at once in many protocols. 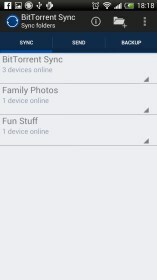 For example, the synchronization of 2 GB of photos between your smartphone and your computer takes only 3 minutes, if they are located within the same Wi-Fi network. The development program has been of BitTorrent, which is known by many of the same name to the client for download torrent-files. Programmers are able to create a very flexible and convenient way to synchronize any data. 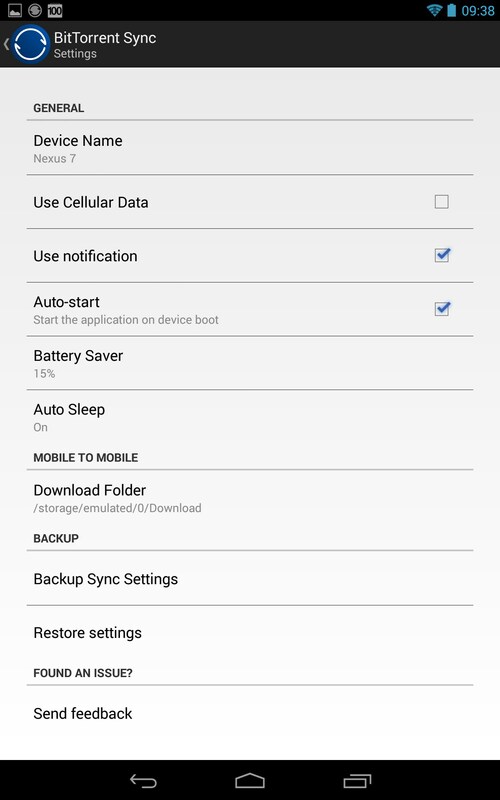 If you spend about 10 minutes and correctly set up the sync, the connection to the computer gadget thing of the past. Since the program is still in the status of the testing, the design is poor, simple design, devoid of delicacy and beauty. To be fair, it's worth noting that after the settings in the program itself and not have to go, everything will happen in the background. 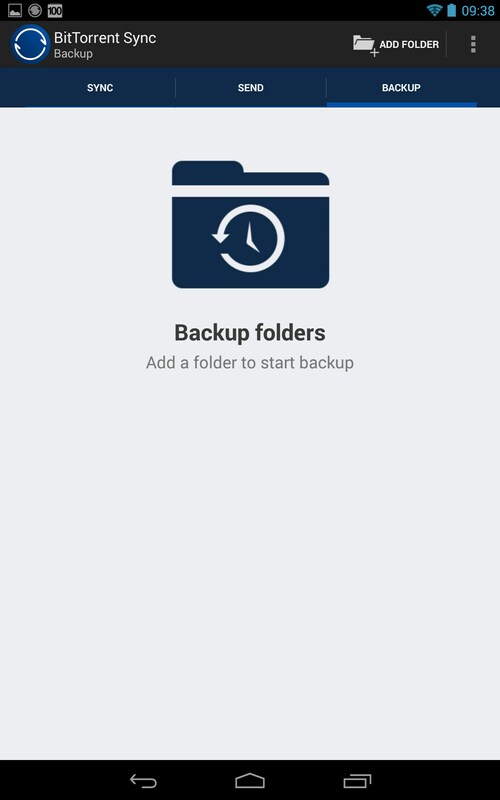 The main drawback of cloud services, specifically Dropbox and Google Drive, consisted in the fact that for the first synchronization of files downloaded on the Internet, and only later on synchronized devices. It takes a lot of time, given that the download speed is often very slow. BitTorrent Sync program works is that it tries to use different systems and protocols to transfer files from one device to another. Protocols vary from a bunch of smart phone-to-computer or computer-to-computer. Also, there is activated the classical system with torrents if the files are there on the two devices, then on the third device, these files will be downloaded together with the two devices. Thus, the program works in those moments, when the devices are online. Download and upload speed is entirely dependent on the bandwidth of your Wi-Fi network and the mobile internet. If the devices are on the same network, the transfer takes place and did almost instantly. To connect, you need to download the program to your computer and create a binding to the folder with the secret key. With the help of this secret key, you can generate a QR-code, to connect the mobile device. 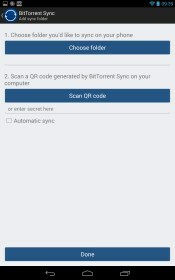 To do this on a mobile device to select a folder for synchronization and scan the code on the computer. 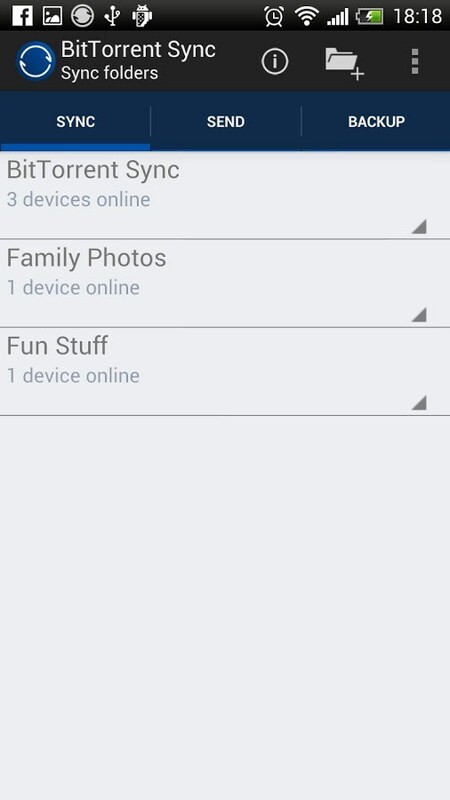 Now, all the files will be synchronized between the two devices. Backup mode (one-way sync, which is suitable for startup photos). Summary. 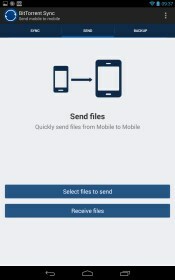 BitTorrent Sync - is a promising and promising application for Android, which brings convenience to a new level synchronization. 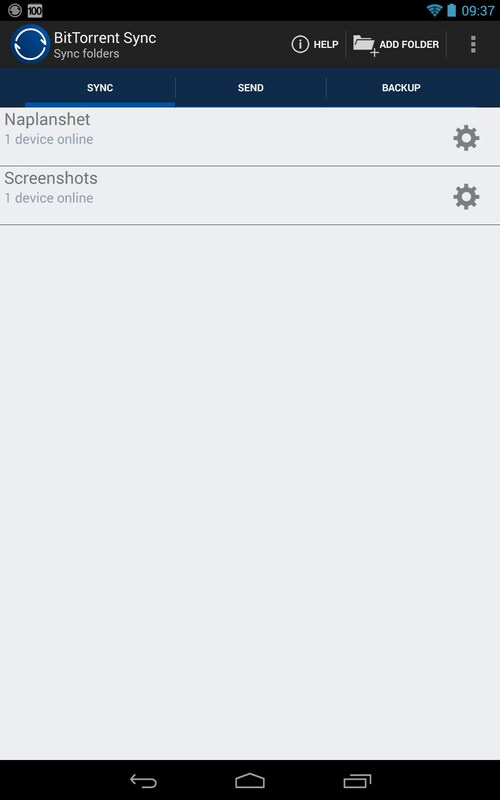 Here you can build any folder synchronization scheme, no limits in a single folder, as in the cloud services.